Hey now, we take pride in our work and in what we do! We will never take it for granted that you are trusting us to work on swimming pool. We will share our expertise and advise you on what's best for you, and get the work done efficiently. In fact, we know that it is in our best interest to do what is in your best interest. 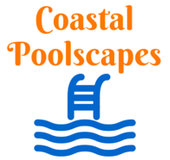 We are raising the bar for pool companies in the Tidewater area of Virginia, including Virginia Beach, Chesapeake, Norfolk, Portsmouth, Newport News, etc.